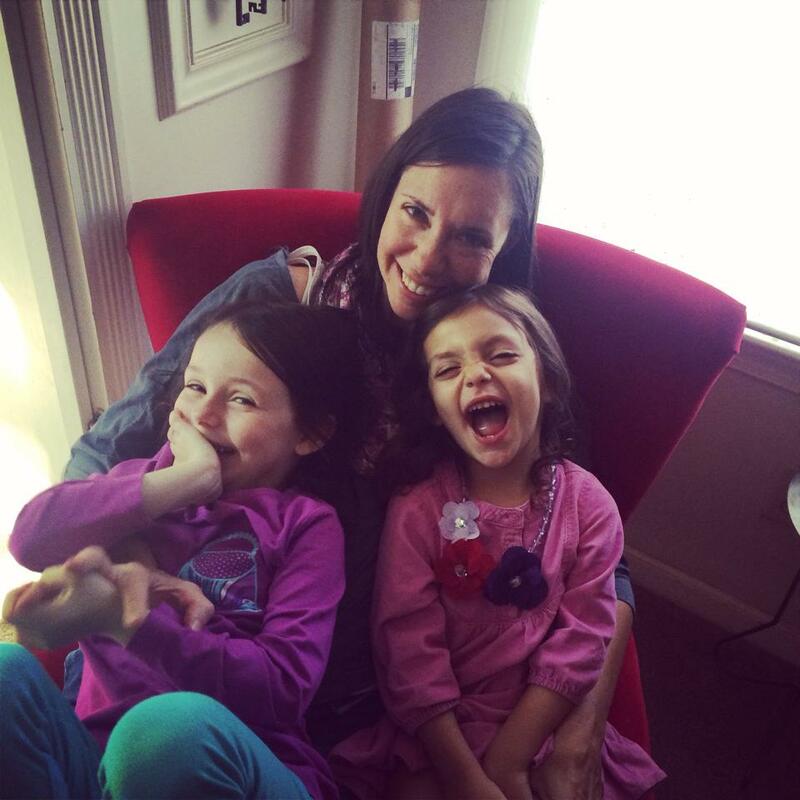 Stefanie is a vibrant wife, mom, small business owner, volunteer, and all around super woman. She loves connecting people together, she's always there to lend a helping hand, and she's never met a stranger. Right now she needs your help. She is currently in the ICU and unable to move due to brain inflamation. The doctors are trying to figure out why she is so sick, but regardless of the cause, we are looking at a very long and slow rehabilitation and recovery. 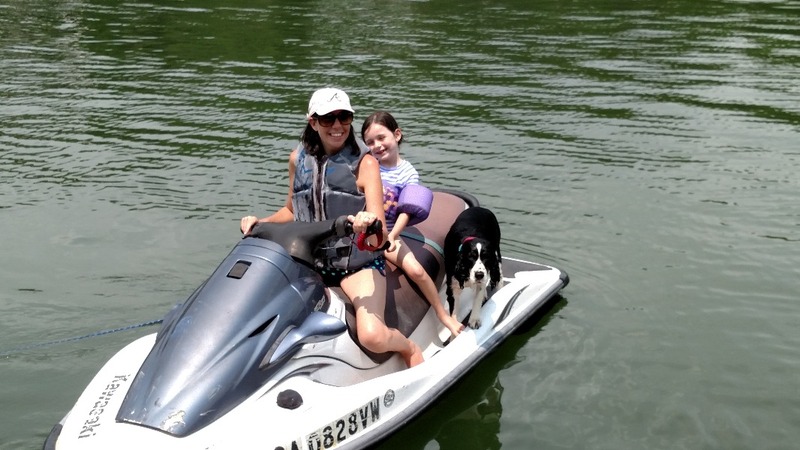 This busy, on the go mom has lost almost all of her muscle function and is almost completely immobile. She can move her left leg and the left arm, but can't pick anything up with her hand. Her right side is completely unmoveable. Once her treatment ends she will need to go to an acute rehabilitation facility for 24/7 care, and physical and occupational therapy to regain her strength and motor function. On July 15th after a day at the pool with her two little girls (Riley-6 and Reese-4) she started coming down with what we thought was a summer flu, but while her fever went away the next morning, she started having aches, dizziness, nausea, and then started losing her balance and muscle control. This hit fast. We took her to the ER at Piedmont Hospital where they were able to rule out stroke or aneurysm, and identified significant brain inflamation as the cause of her symptoms. She was admitted to the ICU, and the doctors have been working to determine the cause of the inflamation since. They were able to use an MRI and spinal tap to rule out other potential causes like bacterial infection or a tumor. So the likely cause is either a viral infection or her own immune system is attacking her brain. The damage done by the brain inflamation has been significant. She has lost 100% of her muscle control on the right side of her body, and has significant impairment on the left side. She can turn her head, but can't lift it off of the pillow. She can move her left hand to scratch her nose, but can't hold her phone. Because they don't know the cause or treatment yet, they can't say to what extent Stefanie will be able to recover. They do believe her brain will heal and that intensive rehab and therapy is her best hope for a full recovery. The brain turns off quickly, but takes a long time to restart. Stefanie has an extensive network of friends and family who have stepped up to support Stefanie and Pete with meals, child care, and other basic necessities. Since they are both self-employed, Stefanie and Pete will be forced to forgo income to invest the time it will take for her recovery. What the Ballard family needs right now is financial help to pay for her medical expenses, the extensive rehab that Stefanie will need, and to supplement their reduced income. We just want our wife, mom, and friend back. I asked Reese (4) what she loves about mommy, and she said, "Her hugs and kisses." Please help her do that for years to come. Thank you for supporting Stefanie and Pete, and please consider sharing their story with other folks who might want to help also. If you would like to make a direct/offline donation, please email HelpingStef @ Gmail.com to get the details. It has been a while since I've sent an update and I wanted to let you know how we've been doing. Riley and Reese have been doing as well as expected. They had fantastic teachers in school this year and did really well both academically and socially. They have also started going to programs run by Kate's Club, which is a local organization who help children with their grief from losing a parent or sibling. It is an amazing organization that has helped them a great deal. We talk about Stefanie all the time. What she liked, what she would do in a particular situation, when we particularly miss her, or when we're remembering something we've done in the past. She is still very much a part of our lives. It has been particularly hard around holidays and special occasions. Most recently was the 4th of July. 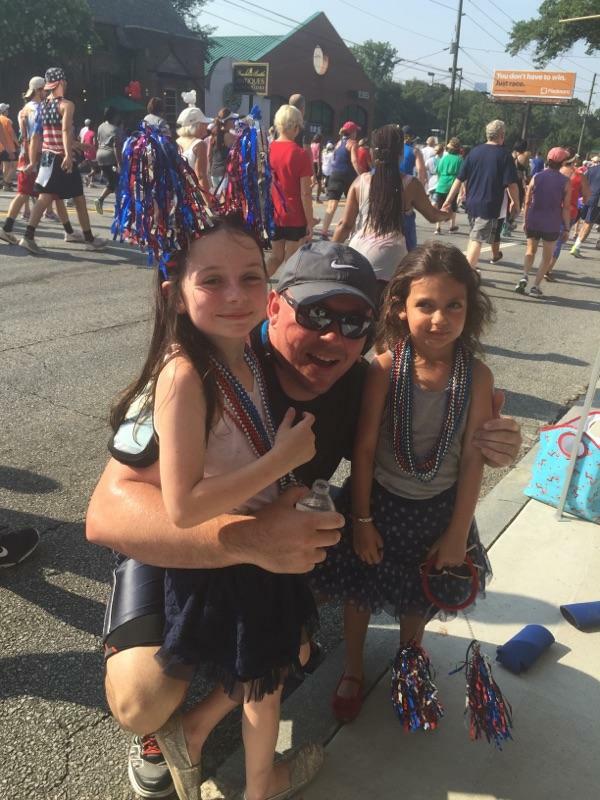 We always loved getting up early to go to "our spot" and watching the Peachtree Road Race 10K #ATLPRR, cheering on our friends and community while they ran. Either when it was with friends, dogs, or eventually kids, it was always a great start to an all day holiday. She suggested a couple of times that I should run the Peachtree because it was a lot of fun, but I always felt I would have more fun giving out high fives and beers from the sidewalk, and spending that time with her and the girls. Well, this year I decided to run the race for the first time. I couldn't bear the thought of standing there without her. I signed up, got a number, and trained for the last 100 days or so (not every day) to get into good enough shape to finish the race, and I'm happy to say I finished and survived. It was a pretty emotional day particularly seeing the empty curb that we typically occupy and thinking about what a great time we had last year (one of the last good memories we made as a family before Stefanie got sick). Seeing the girls cheering for me along the way (pic attached) was definitely the highlight. I'm so grateful for all of the friends, family, and strangers who have helped to support our family throughout the year. Every day is a struggle, but you have helped to make it a little easier. Grabbing quick hugs during the race! 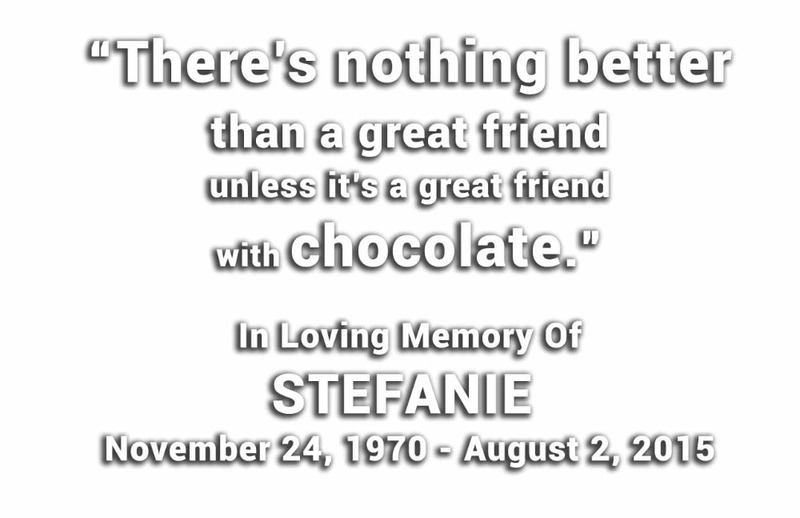 It has been a very tough few months since Stefanie passed away. There have been several events that she normally would have a big hand in planning and celebrating. The first day of school, the anniversary of our first date, Riley's birthday, my birthday, Reese's birthday, and our anniversary. I'm so grateful for everyone who has stepped up to help make these days special for Riley and Reese. Tomorrow is another big day for us. When Stefanie was in the hospital she had the idea to take Riley and Reese to the Taylor Swift concert on Oct. 24th because they are huge fans. She made it her mission, and when she died, her friends made it their mission, and rallied the Atlanta community to make it happen. One of the people Stefanie wanted to reach out to was Bert Weiss of The Bert Show who is well known for doing amazing things for kids and their families who are facing big challenges. Well, thanks to the efforts of so many people reaching out to him, he was able to get in touch with Taylor Swift's people and not only make the concert happen, but also a whole day of pampering for the girls and an opportunity for them to MEET TAYLOR SWIFT! I can't thank Bert and the team at Q100 enough for setting up such a special day for Riley and Reese and making one of Stefanie's final wishes for her girls to come true. Thanks to everyone for the notes, calls, meals, and donations. Your support has meant the world to us as we try to put the pieces of our life back together. We had a beautiful service for Stefanie this weekend, and I was very grateful for all of the friends and family who came to celebrate her life and give the girls and I big hugs. Below is the obituary that was published on Saturday. 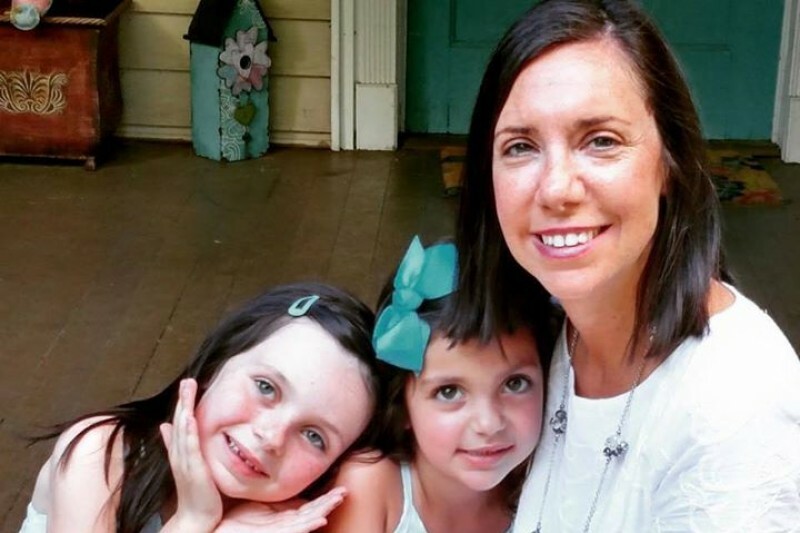 After a short battle with an unknown illness, and surrounded by family and friends, Stefanie Whitaker Ballard passed away peacefully at Piedmont Hospital on Sunday, August 2, 2015. She was 44 years old. A native of Atlanta, she attended Tulane University and moved back to Atlanta in 1996 to volunteer for the Olympics. Stefanie was always there to lend a hand to those in need, and tirelessly strove to build a stronger community wherever she was. As a young woman, she volunteered at the Shepherd Center and with the Square Hat Social Club. In recent years, she collected clothes and school supplies for the Women and Children's Day Shelter, and served for four years as the President of the Underwood Hills Neighborhood Playgroup. 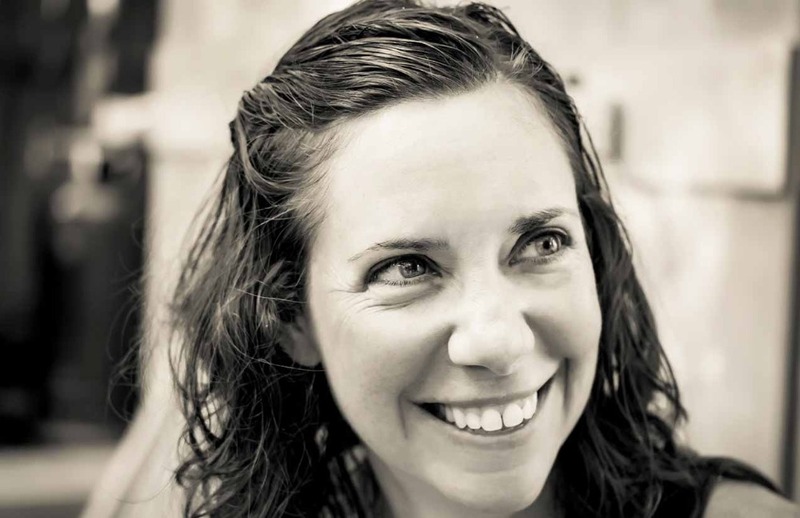 Stefanie was an outstanding personal organizer and custom shopper with an impeccable sense of style and an uncanny ability to put the right clothes on people. Her unrealized dream was to open a boutique where she could curate clothes and accessories at a reasonable price to help busy moms look and feel their best. She was a loving and silly mom to her children, and a loyal best friend and wife to her husband. She had a long list of super powers: as a world-class shopper, she never paid full price for any piece of clothing, she had a carnie-like ability to predict the gender of unborn babies, she intuitively knew what someone needed at any point in time, and she excelled at connecting people both socially and professionally. She never stopped meeting new people and making friends-literally up until the day she died. Stefanie leaves behind her loving husband Peter Ballard, and their two daughters, Riley and Reese. Stefanie is also survived by her mother and stepfather; Denise and Michael LeGrand; mother-in-law, Lee Ballard; uncle, Brian Dinerman; aunt, Michelle Bergeson (David); brothers-in-law, David and Andrew Ballard (Angie); cousins, Jason Bowen (Lori) and Nadia Bergeson, and a multitude of friends. Sign online guest book at www.fischerfuneralcare.com. A private service will be held. The family would like to thank the doctors, nurses, and staff at Piedmont Hospital for their compassionate and expert care. In lieu of flowers the family requests donations to be made to the Stefanie Ballard Super Mom Memorial Fund at www.gofundme.com/HelpStef. I wish I had better news, but the sad truth is that the swelling in Stef's brain did not respond to treatment and continued to spread to the point where she went into cardiac arrest yesterday afternoon. The swelling constricted the blood vessels in her brain, and the cardiac arrest deprived it of oxygen. 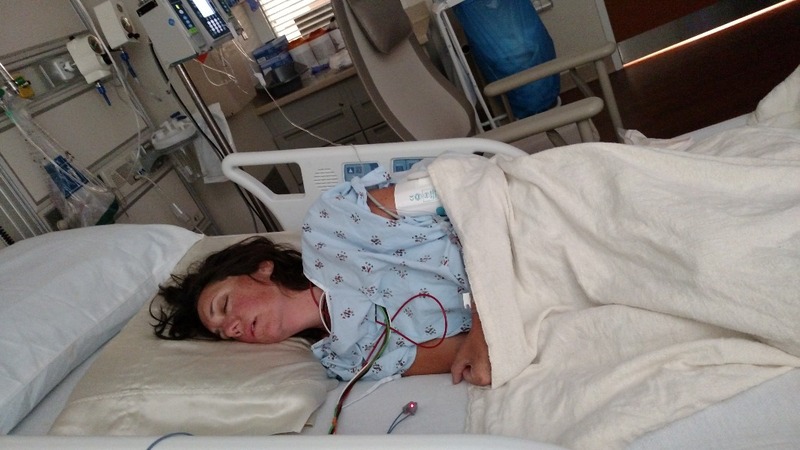 They tried to relieve the pressure by inserting a tube into her brain to drain the fluid, but were unable to do so. Her brain suffered irreparable damage, and she lost all brain function. She has been surrounded with family and friends all day today, and passed away peacefully this evening. We are so grateful for the love that she showered on us, and the wonderful, funny, smart, stylish, and generous person we all knew and loved. She was a blessing to all who knew her. Please keep her family and friends in your warm thoughts and prayers. I am so sorry for your loss. I don't know if the doctors ever figured out what caused this, but our friend's 16 year old daughter passed away unexpectedly in April by an extremely rare brain eating amoeba that is almost always quickly fatal. She had terrible headaches and and flu like symptoms. She experienced same problems in the hospital as Stefanie. Doctors were shocked that she had this because it is not likely to happen in Colorado especially during colder weather. It mostly happens when swimming in lakes in warmer water. I just wanted to inform others of this rare brain infection. I hope you are able to find out what happened and I pray peace and comfort to all who knew Stefanie. God is with you ALWAYS. Could be West Nile Virus or St. Louis Encephalitis Virus. Symptoms match: partial paralysis, fever, and brain swelling (which is rare but possible). I'm guessing that the left side of her face is drooping because of the paralysis. Please consider and I hope she gets better! I'm so sorry for your loss. We're praying for peace and comfort for you, your family and friends. One thought keeps running through my head...she got to spend time with her girls before she left...she knew she was loved by her family, friends and even strangers. Her story will touch many teaching bus to cherish our loved ones, and help others. May God grant you peace and comfort. Please ask if there's anything anyone can do. You never said I'm leaving You never said goodbye You were gone before we knew it And only God knew why. A million times we needed you A million times we cried If love alone could have saved you You never would have died In life we loved you dearly In death we love you still In our hearts you hold a place That no one could ever fill It broke our hearts to lose you But you didn't go alone For part of us went with you The day God called you home. This may not help, but in south Louisiana (St. Bernard Parish) a brain eating amoeba was found in drinking water test sites. It can only harm you if it enters through your nose. While knowing the cause will not bring back your precious wife, it might help later on down the road when closure may seem impossible. please ask them to test her for anti - NMDA encephalitis. My niece had this and it took years to get a diagnosis but finally they know what to look for. it is very rare autoimmune illness it attacks your brain. There is a book called"Brain on fire" there is also a Facebook group about it. Someone in my family has a similar condition. She is a nurse she mentioned her opinion was you ought to have lyme and confection testing done through reliable specialty companies, not conventional testing. She learned herself. I am just relaying the message, and sending prayers, and good vibes. Please ask your dr. about Myalgic Encephalomyelitis and DO NOT take their word that it's the same as CFS. It is NOT the same disease, despite what stupid US drs say. This is exactly how M.E. presents itself for many of us, and we continue to have symptoms like this forever. I have had many stroke-like and paralytic episodes. Please use http://www.hfme.org/ as at least a possibility- they're the experts. Guillian barre syndrome To confirm neurologist did a spinal tap on me . She has exact symtoms down to second side drooping , i was told it was double bells palsy. Quack dr. It was Guillian barre syndrome all along. It's sounds like she has a tick borne disease. I pray that she is tested for them and gets the proper treatment. This sounds similar to what I went through last fall when I developed neurological Lyme disease. Make sure they consider that. Praying for you guys! Thank you so much for posting an update. I often think about you guys, say a prayer and wonder how you're doing. Congratulations on running the Peachtree! How adorable! Kids are ALWAYS stylin'. Congrats on surviving the race. That's a huge accomplishment for your daughters to see you complete. There's nothing I can say other than I think about her and you guys often and pray every day gets a little easier. Stay Blessed. Pete, I think of you and your girls often and send out my little prayers. I am thrilled that the girls will have a wonderful day of beauty and a once in a lifetime meet up with their favorite singer. Taylor Swift will be richer for meeting them! This sounds like Guillain-Barre a rare immune system disorder that follows an infectious illness which may itself be minor. I knew an ICU nurse who contracted it after caring for a highly infectious patient. Luckily it was Mass. General and they were able to diagnose and treat her before it was fatal. My sincerest sympathies to the bereaved and may God rest her soul. I cannot imagine what your and your family have gone through Pete. I have prayed for you all and asked the Lord to comfort you and carry you through this tragic time. I'd just like to say I'm sorry I can't afford to give you anything except my warm thoughts and hopes for the days to come. I know how hard it is to lose someone in such a mystifying and fast way. 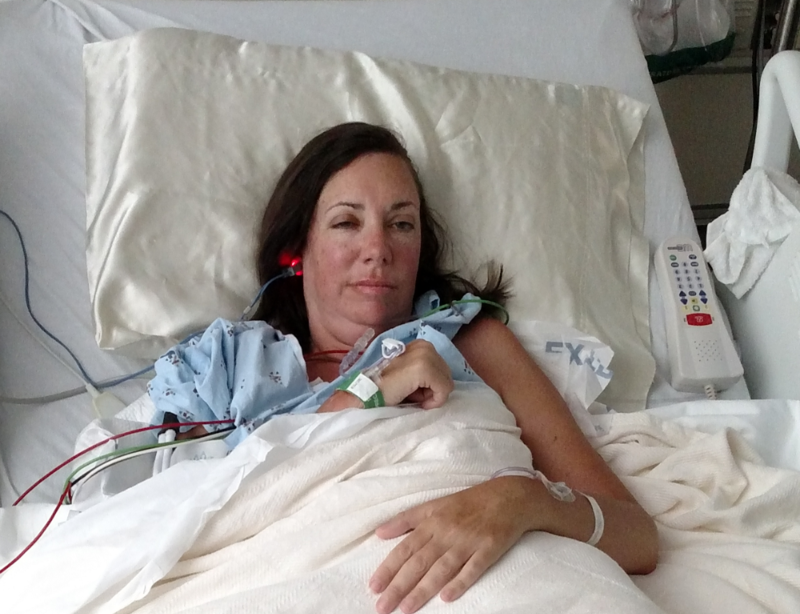 My Aunt also "came down" with a at-the-time thought to be sinus infection but days later, she was still seeing double, still non-stop trembling and could barely talk due to muscles tightening. She was in pain, also. It wasn't until her death less than two months later that we learned antibodies from cancer she had gone in to remission from a year prior (and had been given a clean bill of health of) had left/sent antibodies to her Cerebellum, hence why she had all of the coordination issues and such. Mayo Clinic was even stumped about it until they were able to do further tests after she passed. I hope you get more solid answers and I'm so sorry that this loss has come in to your lives. Pete - My kids Jackson and Vivi were at NDBC at the same time as Reese and Riley. I worked with Stephanie on many events there and recall what a dedicated mother she was. I'm certain that the holidays will be particularly tough but know how strong those girls can be to help your family heal. Thinking of you today. A happy day for the girls. You all are loved by many.